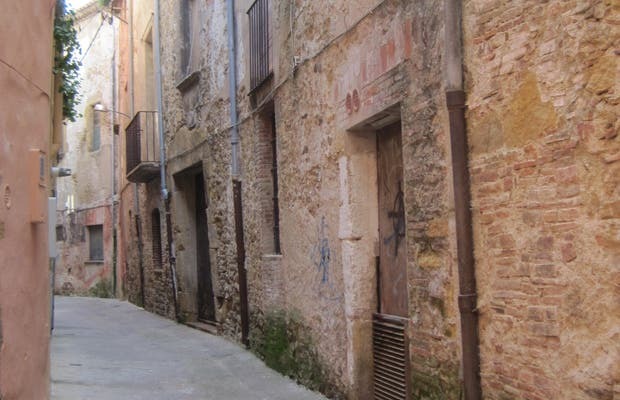 Carrer del Call is in the historic center of La Bisbal and is accessed from the main square, at the height of the Volta of Mel. It is one of the oldest streets of the city, designated as a tourist site on the city's website. The street dates from 1285 and is the only one that still exists where Jews lived. Each end is marked with an arcade accessed by an upper frame and bars that closed to isolate it from rest of the population. Today the street maintains its character, it is very narrow and curved, in addition to buildings there are some local Shawarmas selling.